You love her and appreciate all of her hard work, whether it be in her career or in the home, so let her know with one of these bath and body gifts! She can create her own spa day at home with gifts like the Luxor’s Waffle Weave Spa Bathrobe crafted from 100% Egyptian Cotton. 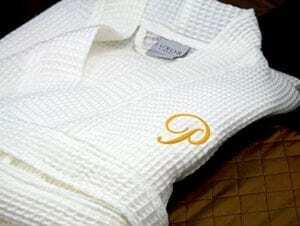 Add her monogram on this Luxor spa bathrobe for a perfect personalized gift. 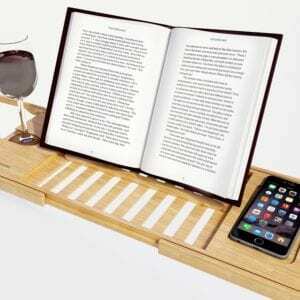 Lets add some sophistication with a luxury Bamboo Bathtub Caddy Tray which has a conveniently built-in cup holder for keeping a glass of her favourite wine or a soothing cup of tea, together with her favourite book while listening to music from her phone to create the perfect ambiance. Spa gift sets are a great way to give her a collection of things to try together to pamper herself at home. Here is a marvellous selection of spa Gift Baskets to choose from including the Art of Appreciation Gift Baskets Lavender Renewal Spa Bath and Body Gift Set , the Pinkleaf Green Tea Argan Oil Bamboo Spa Bath Gift Set or popular VERDUGO GIFT CO Warm Vanilla Spa Basket which with its sweet and spicy vanilla scent wraps you in its comforting embrace! The caress of tangy tropical scents, a blend of sweet mangos and tart pears stir dreams of escape to far off islands where the shimmering sapphire sea laps at the edge of sun-warmed beaches comes in an intricate woven antique spa gift basket from Freida Joe. 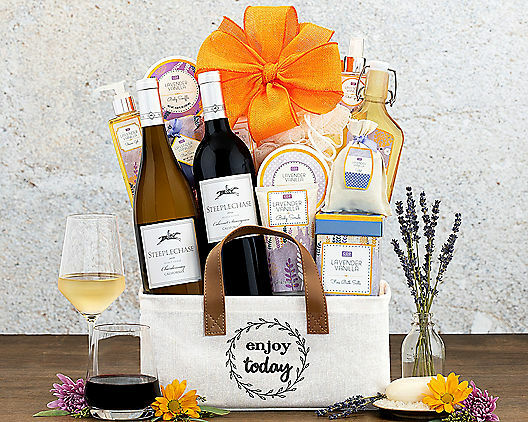 An assortment of Cru de Provence mandarin mango scented spa products fills this lovely basket. Overflowing with body lotion, shower gel, bath caviar, bar soap , body butter, bubble bath, body scrub, natural sponge and a lavender sachet to bring the fresh, clean fragrance of lavender to any room, closet or drawer, this indulgent gift will help relax and enjoy. A pair of soft waffle slippers adds an extra special touch. Send her this tranquil spa collection now! Does she enjoy a nice glass of wine while in the spa? Here is a perfect gift for her: Rock Falls Vineyards cabernet with plum and chocolate notes, and bright chardonnay with tangerine and apricot flavours and a hint of toasted almond and butterscotch arrive with a selection of mandarin mango spa products including body lotion, shower gel, bath caviar, bar soap, body butter, bubble bath, body scrub, natural sponge and a lavender sachet. A pair of soft waffle slippers adds an extra special touch. Does she love vanilla? Here is the perfect gift: This spa collection is overflowing with the classic, rich fragrance of creamy vanilla bean spa products including body lotion, shower gel, both fine and chunky bath salts, linen spray, peppermint foot soak, bath caviar, body scrub, bar soap, bubble bath, sponge, eye mask and more. A microfibre towel and a pair of slippers add an extra special touch to this exclusive spa experience. Still not decided? Here is a great suggestion: Candles are essential to creating a spa-like ambiance. 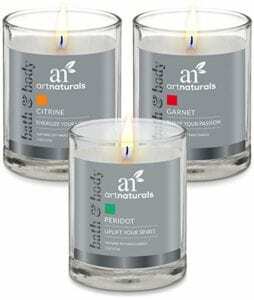 This Art Naturals Aromatherapy Candle set offers 3 lovely fragrances to create a mood-enhancing atmosphere and relaxation . My next suggestion has in mind someone holistic minded who knows the benefits of essential oils. A gift like this elegant scented Earth & Sea Spa Essentials Bath Set is sure to impress her. This gift set is the perfect combination of eight spa essentials to relax, refresh and rejuvenate. A combination of premium oils is included in the candle, bath salts, and soap. These scents are fabulous and promote feelings of love, sensuality and happiness while providing calm, relaxing, refreshing tranquility by soothing tension and stress. 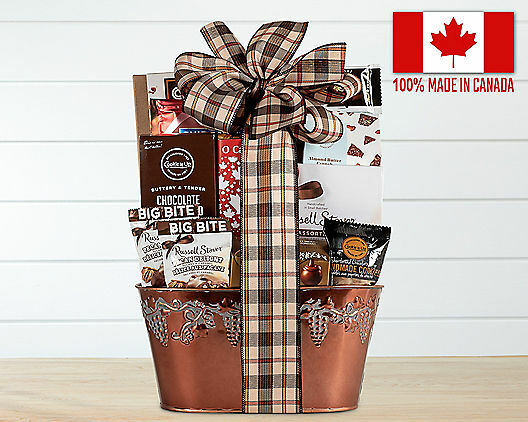 Everything is high quality and comes in a beautiful gift box. Planning a romantic night at home? Don’t hesitate! Get these organic Bubble Bath Bombs Gift Set are going to transform her bath into a luxurious spa. There are 8 USA made, natural and organic bath bombs packed into an elegant gift set which makes them look like jewels. *This page contains affiliate links. Click here to learn more.